By Online Forex Trading Course. In this weekly video: 00:30 – A topical subject – a lack of volatility 01:00 – Do not have a strategy that requires massive trends 01:27 – You need patience to trade these conditions 02:10 – Looking at several different time frame charts 03:00 – Hardly any strong trends right now 03:48 – Get your account auto traded at AMForexCopier.com 04:44 – Making sure your trading strategy is a good one How do you trade the Forex market when volatility is low, exactly like we've seen so far this year in 2019? Let's discuss that and more right now. 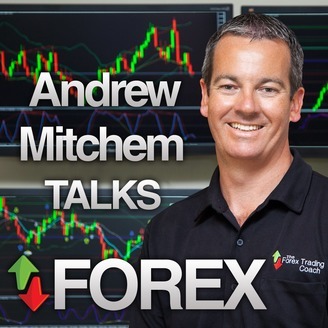 Hi Forex traders, it's Andrew Mitchem here from the Forex Trading Coach with video and podcast number 317. A topical subject – a lack of volatility I want to discuss a really important subject because it's topical for right now. It's been emailed in from Raphael, and Raphael said, “Andrew can you talk about the Forex market and the volatility or the lack of volatility that we've seen over the past three months?” So here we are in April, 2019, and pretty much since the beginning of the year since January volatility has been quite low. There's not been a great deal happening on the markets in general. There's different ways to approach that, and we'll discuss those shortly. Do not have a strategy that requires massive trends Now what I did need to say to you is that if your trading strategy requires there to be huge trends, like day after day after day or week after week of big up-trends and big down-trends, if that's what your strategy requires in order to be successful, I'm picking that right now here we are in April, 2019, I'm guessing your year has not started well. Maybe that's the issue that Raphael is having. You need patience to trade these conditions So there's different ways of looking at it. To me, you need to have patience in your trading. It's really, really important that you have patience. Don't just go taking trades just for the sake of trading. If there's nothing there, don't take anything. As an example, this week on the weekly charts I've suggested there are no trades to my clients. Yes, I've suggested some strength and weaknesses based on the weekly charts, but no specific trades. Last week there were three. When I hold my live webinars and I discuss the trades that we've seen, the good set-ups according to our strategy over the past week, sometimes I'm finding that the four hour charts would have tremendous setups and then another week the four hour charts have very few setups. Looking at several different time frame charts So it all comes down to when you get these low volatility trading conditions is having the ability to look at several different timeframe charts. That's why we use offline charts and we have the ability to look on MT4 at charts like six hours, eight hours, 12 hour charts as well as the normal standard MT4 charts. Because when we have the ability to look at different timeframe charts, that's what gives us the edge and that's what gives us the flexibility to look at what's happening in the market and only picking those very top quality A-grade setups. Really important that you do that. If you are trading say the daily charts and you need to have strength after strength after strength, then right now you're not doing well. So it comes down to trading what you see on the charts at the time. Hardly any strong trends right now Using some strength and weakness as well. Really important that you do that, because the market is kind of all over the place. It's not a really obvious trend in hardly any currency pairs right now. Even the Euro and even the Pound with all the Brexit news going on. When you would expect the Pound to be dropping sometimes it's going back up again. So really important that you use what you see on the charts right now. Use strength and weakness. Use my guide if you want. I publish free analysis every single day on my website for where I see particular strength and weakness in different currency pairs. Also, apart from being patient, have the ability if you can to look at two or three different timeframe charts. It's going to really increase the probability of you seeing good quality trade setups. Get your account auto traded at AMForexCopier.com If none of that works for you, all you need to do is jump onto my copier service. Jump on to amforexcopier.com and it's my 100% automated strategy that means that you can have your account completely 100% auto-traded using my algorithms. It's a five minute process to get it set up and even throughout the last few months of this quiet volatility, with the market as we've just discussed not doing a great deal, we are currently up 59% in the last two months since the system has been running live on myfxbook. I'll put a link to that copier service below this video. Whether you want to take the auto-trade route, or whether you want to take the manual trade route, both have a great ability to work in all conditions once you know what you're doing. Making sure your trading strategy is a good one So it comes back again to making sure your strategy is good. If you'd like our help with a strategy, have a look at my website and what we offer with our online video course. We also have the ability to have you be taught one-on-one online as well, plus if you live in the US or Canada you have the ability to catch up in person with Paul Tillman who lives in America and be taught in person. So three different ways of learning our strategy. If that's for you, fantastic, just let us know and we can help you with that. If you'd like the automated trading route, also look at the link on this page. 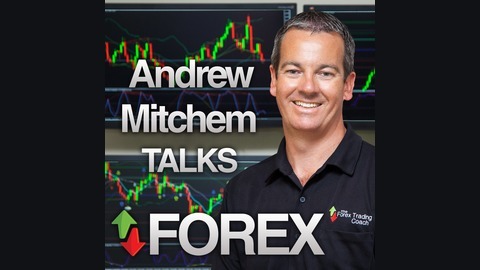 So once again, this is Andrew Mitchem from the Forex Trading Coach. If you have any trading questions that you'd like me to discuss on future videos and podcasts just like this, just drop me an email, andrew@theforextradingcoach.com. I'll see you this time next week. Bye for now.